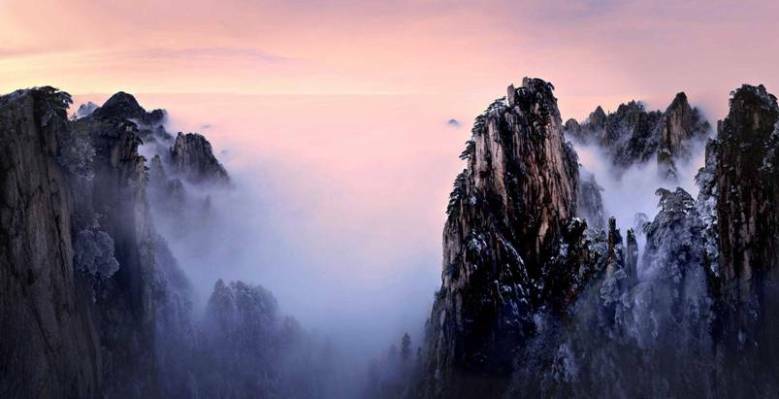 Huangshan Mountain, a UNESCO World Cultural and Natural Heritage Site in Anhui Province, is hosting its 13th International Mountaineering Festival which attracts thousands of hikers and tourists with its breathtaking scenery. There will be two different routes both starting from the north gate of the site, while the long route is 10km and the short one to be 5km. Both routes pass through the main sites of the mountain which will offer great visual enjoyment to the hikers. In 10km-mountaining route, the top 20 participants will be awarded with bonus up to 3, 000 yuan. Huangshan is notable for its peculiarly-shaped giant rocks, striking odd pines, cloud sea as well as hot springs. There’s a saying goes like: No need to visit the 5 Great Mountains if you have been to Huangshan. It has been entitled as “the best in all the land of mountains” since very early time and has been praised by poets generation after generation. The 5 Great Mountains refer to Mount Tai, Mount Hua, Mount Heng in the South, Mount Heng in the North and Mount Song.